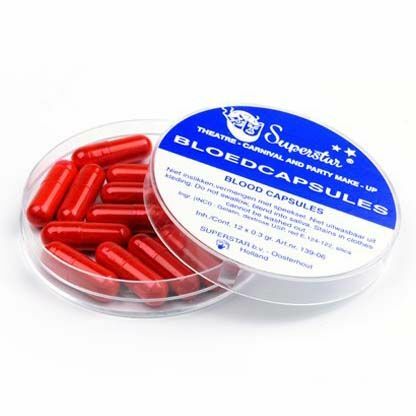 Product information "Blood Capsules 12 pieces Superstar box"
Large blood capsules 12 pieces are safe to use internally and melt in the mouth. Blood capsules 12 pieces have a powder content and must be mixed with saliva. Pay attention! Blood capsules 12 pieces is not washable from clothes. Related links to "Blood Capsules 12 pieces Superstar box"
Customer evaluation for "Blood Capsules 12 pieces Superstar box"